Hike up those lederhosen! 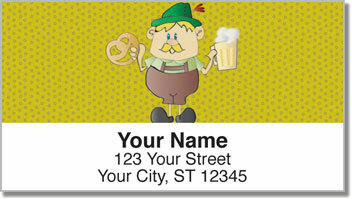 These return address labels celebrate the traditions of Germany! Icons that are both silly and historic make up this cultural set from CheckAdvantage. From beer and pretzels, to the accordion and the German flag, every piece of mail you mark with these labels will reflect your heritage. 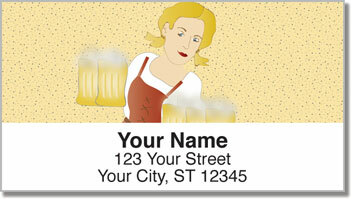 Germany Address Labels are also a time-saving tool! And we know how you Germans love efficiency. 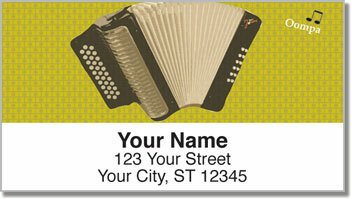 Just peel and place your new labels on all your outgoing mail. You'll never have to write your name and address on an envelope by hand again! 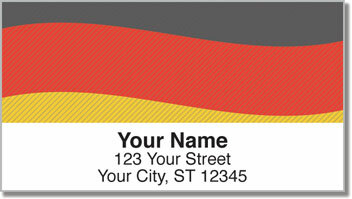 Order your own Germany Address Labels today! They're also available as matching personal checks.